Be prepared to be shocked. The recently arrived Jewel of Russia Infusions are short of amazing. They are unlike any other product available in the United States. These two outstanding spirits will forever change how you view flavored vodkas. Imported by BMC Imports of New Canaan, Conn., Jewel of Russia Berry Infusion and Wild Bilberry Infusion are produced differently than other flavored spirits, a method that originated three centuries ago. The process involves steeping hearty Russian vodka in fruit. the fresh wild cranberries and bilberries used in the two infusions are handpicked and then crushed and soaked in the vodka. The result is a spirit imbued with an intense fruit flavor and aroma that far exceeds what has been achieved by other producers. What is genuinely remarkable about these two spirits is how utterly smooth and incredibly flavorful they are. Blindfolded, you would be hard-pressed to identify them as vodkas. One reason is that they are relatively low in alcohol - between 20 percent and 22 percent alcohol by volume - which allows the flavor components to remain on the palate longer. Another reason is the slow steeping process. 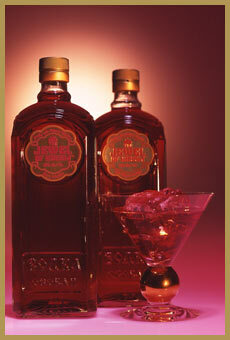 The Jewel of Russia Infusions are also sterling when sipped chilled, or featured in a cosmopolitan, martini, kamikaze. With spirits this delicious, it's no wonder the Russians wanted to dump communism. Support our way of life and give these fabolous infusions a shot or two.